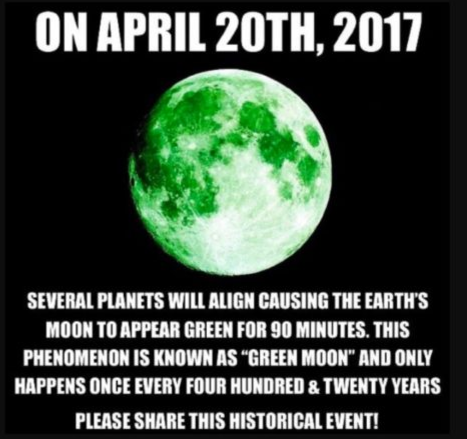 Rare 'Green Moon' in April? - Truth or Fiction? 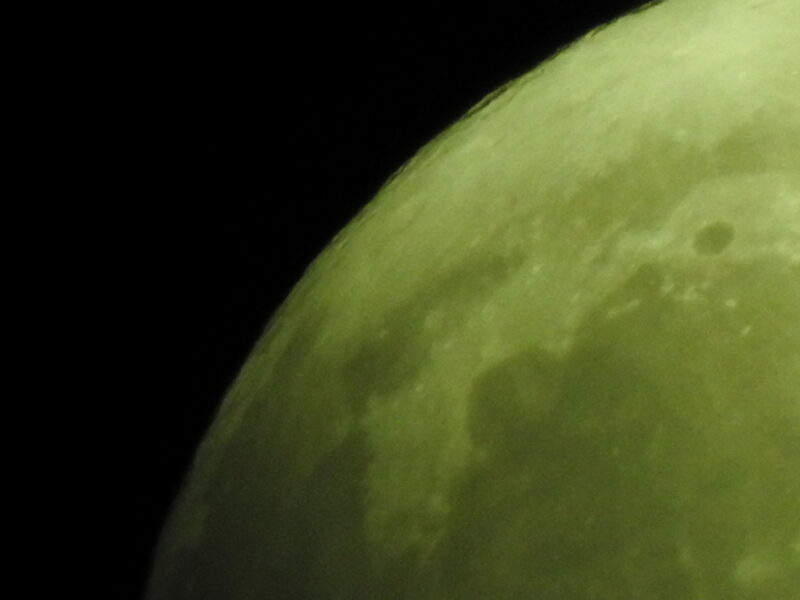 Rare ‘Green Moon’ in April? A recurrent rumor holds that skygazers will be able to see an extremely rare “green moon” on April 20, an astronomical event that occurs once every 420 years. An old stoner joke about a rare opportunity to spot a “green moon” in the night sky is resurrected every April, sometimes with new twists. We first investigated reports of that green moon could be seen for the first time in over a century in May 2016 and found it to be “fictional” for a number of reasons. First, there are plenty of credible websites that list all astronomical events and a green moon doesn’t appear on any of them. Space.com, Sea and Sky and Universe Today are just a few sites with listings, and the so-called green moon is nowhere to be found. As it turns out, the terminology that linked 4/20 with smoking pot took root in Northern California in the early 1970s, said Steve Bloom, the publisher of CelebStoner and the founder of Freedom Leaf magazine. Bloom, however first came upon the connection when he was given a flier at a Grateful Dead concert at the Oakland-Alameda County Coliseum in 1990. The flier recounted the now-famous apocryphal tale that 420 was police code for a marijuana arrest in progress. “The makers of the flier thought it was a good idea to turn that around and smoke on 4/20,” Bloom told Live Science. Bloom wrote about the flier in High Times magazine, and the idea soon took off, he said. The date of the supposed green moon — 4/20 — and the amount of time that has passed since the last sighting — 420 years — are taken directly from cannabis culture, and this persistent rumor almost certainly started life as nothing more than a joke. Green moon on April 20, 2018? Nah. Claims that a green moon could be spotted on 4/20 for the first time in 420 years are references to cannabis culture, not an actual astronomical event. 4/19/2019, 11:14am: Reformatted and updated story with links throughout. The original has been archived here. President Trump Executive Order Bans Saturday Night Live-Fiction! Maryland, Michigan and Arizona Allow Muslims Students to Pray in School-Truth! & Fiction!